"I've been working on this year's Giro d'Italia since last winter, a conscious goal set by me and my team. My team gives me both confidence and chances to pursue a good classification as their leader." Team LottoNL-Jumbo will start with Steven Kruijswijk as their leader at the 98th Giro d’Italia. The Giro starts in San Lorenzo al Mare with a team time trial of 17.6 kilometers. The leader of Team LottoNL-Jumbo ensured an extensive preparation at altitude on the island of Tenerife. "I've been working on this year's Giro d'Italia since last winter, a conscious goal set by me and my team. My team gives me both confidence and chances to pursue a good classification as their leader, with the support of riders around me. I would like to meet the expectations that I have raised in my first two seasons with two good Giros." 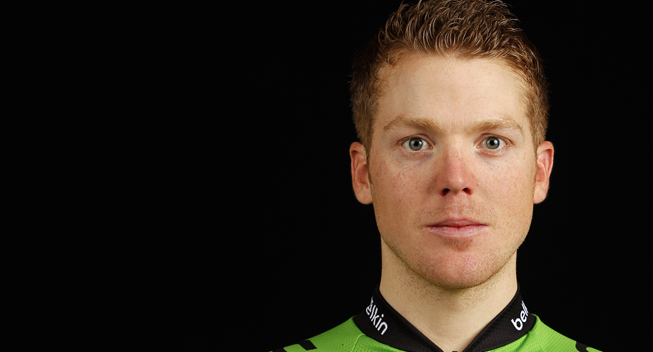 Just like Steven Kruijswijk, Moreno Hofland has targeted the Giro d’Italia well in advance. On Saturday he sprinted to a long anticipated first win of the season for Team LottoNL-Jumbo, as the Dutchman was unmatched in the bunch kick of the second stage of the Tour de Yorkshire. "I gained a good feeling in Tour de Yorkshire,” Hofland said. “I had a difficult start of the season, things didn’t go as planned, but hopefully we can keep this trend going. I was already full of morale, but this gives me an extra boost in the run-up to the Giro d’Italia. In the difficult stages in the Giro, I will try to save energy. On the days that offer opportunities, I will go for it." Sports Director Jan Boven has great faith in team leader Steven Kruijswijk. "A top ten ranking is a wonderful challenge for Steven. He already proved his abilities in the past. This year, however, there are a few more additional top riders at the start. The preparations went well for Steven. He has prepared at altitude, just like in 2011, when he finished in eighth place. Steven is a quiet leader, who focusses well. Our team will try to create a relaxing atmosphere, ensure we have a clear daily plan and ride as a team." Boven knows that winning a stage is a real challenge. Together with Frans Maassen and his riders, he will do everything to win a stage. “The spring season of Moreno was less successful than expected. That's unfortunate, but the Giro is a motivation to show the world what he can do. His speed can help us to win a stage victory. George Bennett and Martijn Keizer have also prepared themselves at altitude. Our team also has strong riders that will excel because of spring power in their legs." George Bennett, Rick Flens, Moreno Hofland, Martijn Keizer, Steven Kruijswijk, Nick van der Lijke, Bert-Jan Lindeman, Maarten Tjallingii and Robert Wagner.